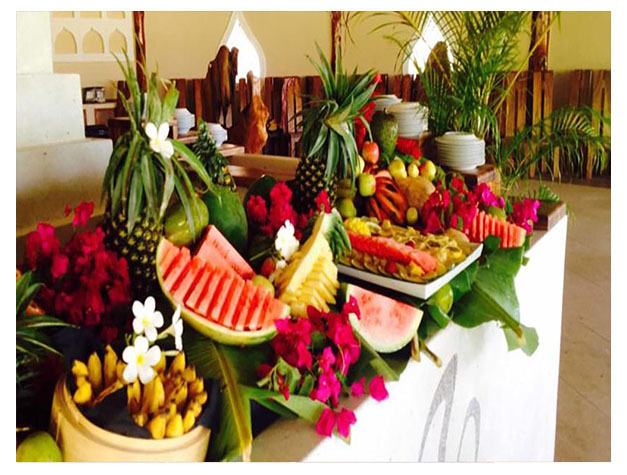 Nestled between a nature reserve and the sea, Fruit & Spice Wellness Resort Zanzibar is located in Mchangamle. The rooms and villas at the resort offer sea views. Decorated in Zanzibari style with makuti roof and local furnishings, the accommodation will provide you air-conditioning, ceiling fan, satellite TV and a minibar. Each bed is draped with a mosquito net. The luxurious and more spacious villas have their own private pool. The resort's main restaurant is overlooking the pool and serves breakfast as well as dinner options, ranging from Mediterranean to local cuisine. Snacks, drinks and cocktails are available at the pool bar or in the lobby. At Fruit & Spice Wellness Resort Zanzibar you will find a private beach area, an outdoor pool, meeting facilities and a shared lounge. The jungle spa offers a variety of massages and beauty treatments. Guests can also work out in the fitness centre or play table tennis. Water sport activates such as diving, snorkelling, kite surfing and fishing can be arranged. 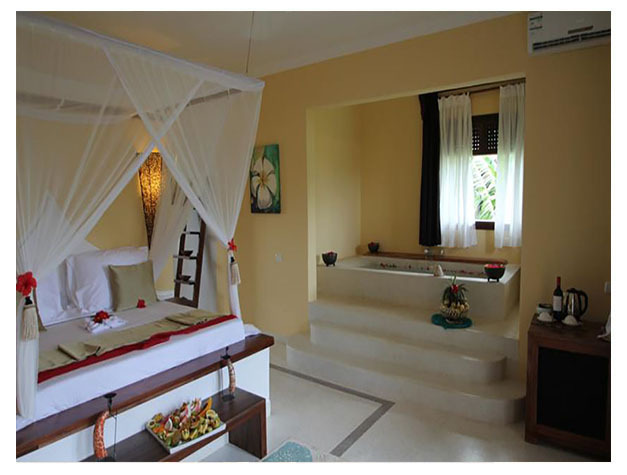 The resort is 57 km away from Stone Town and Zanzibar International Airport. This property is also rated for the best value in Kizimkazi! Guests are getting more for their money when compared to other properties in this city.